Bodog online sportsbook was founded in 1994, the same year as the White House got it’s own wegpage Whitehouse.gov – true fact, I got it from the interwebs. Yes, Bodog is absolute dinosaur in this business, but a highly respected one. Because of their experience customers usually have extremely high hopes for getting top notch service with generous sportsbook and casino promotions. Bodog has Antigua license, where gambling laws aren’t as strict as they are for example in European Union countries or USA. Because of the Antiguan license, Bodog obeys to Antigua and Barbuda Financial Services Regulatory Commission people. As expected, Bodog Online Sportsbook has well organized compact interface. Interface is also intuitive and very easy to move around from one task to another. There were some crossmarketing ads from casino section that I didn’t quite like and understand why they existed, but otherwise – top-notch experience. There’s great variety of live betting options, which seems to be the latest fad. At Bodog Online Sportsbook you can bet on over 25 different sports. There are some weird one in the mix, but hey – something for everyone. Didn’t find badmington from the list, don’t know, maybe it’s a good thing? Need more badmington lines. Ok, I stop. It is possible to also take your change in Esports – rapidly growing market, especially popular among younger crowd. At the moment it is possible to bet on four games – DOTA2, Starcraft, Counter Strike and League of Legends. If you are fan of those games, Bodog Online Sportsbook is will be perfect sportsbook for you. New clients get 100% first deposit bonus capped at 200 dollars. 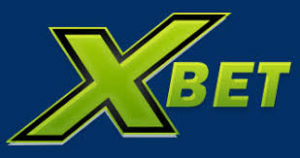 Your bonus will have rollover requirement of 5 times for the online sportsbook and 40 times for the online casino. Both are standard. There is also Bitcoin deposit bonus which gives you even bigger bonus – 300 dollars. If you have some Bitcoin to spend, this is for you. 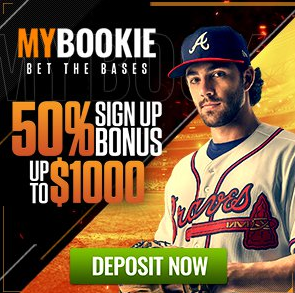 Bodog has three different options to deposit or withdraw funds from their site. You can deposit in Bitcoin, by check or choosethe traditional credit card option. All those methods have 50 dollars withdrawal fees except Bitcoin and by some limit checks also (one withdrawal in a calendar month is free of charge). You could argue that banking options could be better. 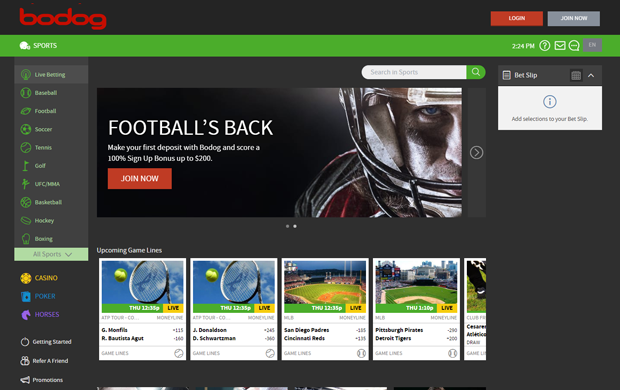 I think that if you know how to handle Bitcoins, Bodog Online Sportsbook is the place for you. Your money is safer in Bodog than in most US banks.